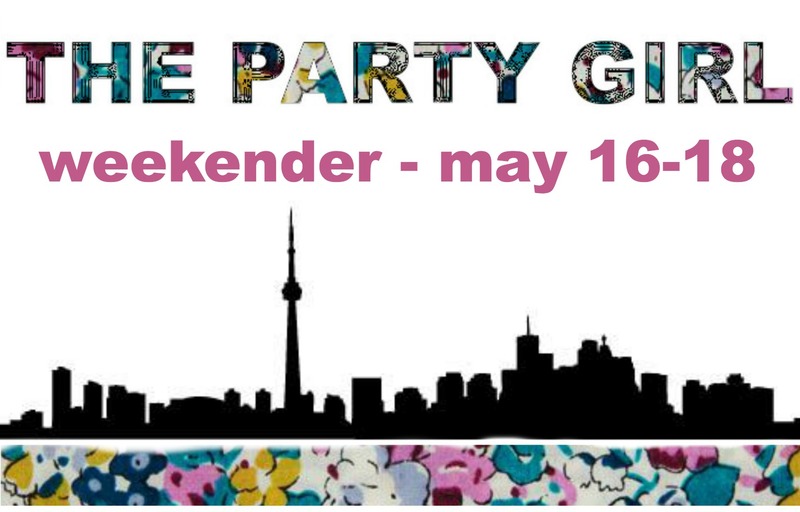 It’s been a busy week at the Party Girl but we wouldn’t send you into the long weekend without giving you some things to check out! We’re spending our weekend recharging and getting a bunch of new posts ready for you, so stay tuned. In the meantime, check out what you can do if you’re in the Toronto area this weekend! Feeling a little dangerous this weekend? Why not try out beginners axe throwing? For $40 you too can practice the ancient art of throwing heavy sharp forest tools at targets! It’s BYOB so grab your friends, a couple six packs, and wear your cutest lumberjack heels because nothing says “I had an amazing weekend” like an axe throwing lesson. Not feeling the axe throwing (come on, you laughed out loud reading that one!)? What better way to spend your Victoria Day weekend stuck in the city (oops, did we say that out loud?) than shopping? You are in luck, because Craft and Guile are doing 50% off their adorable spring lines. All weekend long, 11am-8pm. Looking to score an even bigger sale? Check out the Kate Spade Outlet at Halton Hills, who are celebrating the long weekend with 50% off the entire store, plus an additional 20% off handbags. That’s right ladies, we already road tripped there last night and got ourselves some goodies and it was glorious. It’s going on until Tuesday May 20 but things are selling out super fast so get out there! That’s probably enough to keep you busy this weekend, but of course there are a TON of other events going on (pretty much every club in the city is having some sort of bash, if you’re into that scene, plus there are a bunch of art parties going on around the city too) so if you feel like wandering the city this weekend you’ll definitely find something to do. That’s the beauty of Toronto, right? Have an amazing weekend Party Girls!